Official Release: The BMW Group’s premium car sharing service ReachNow is further expanding its on-demand mobility offer by adding Brooklyn, New York to its operations. With four new add-on mobility services ReachNow will trial a new dimension of customized travel, which will offer customers mobility tailored to their individual needs. Beginning this year, ReachNow will pilot services, such as enabling customers not only to order a BMW vehicle but also a respective driver. ReachNow will trial the delivery of a specific vehicle at a preferred time and location for a rental period of up to five days. MINI owners, who enjoy the idea of making their car work for them in times they don’t use it, can partially recoup the cost of car ownership by renting their vehicle via ReachNow. In its fourth pilot, ReachNow offers a new residential service, which will allow station-based car sharing with exclusive use of an onsite fleet, resulting in an unparalleled level of convenience. “The BMW Group is celebrating its Centenary this year. I am certain that we will see more change within our industry in the next ten to fifteen years than we saw in the last one hundred years together. We look forward to capitalising on this exciting transformation and the expansion of ReachNow is a great example of how we are helping shape a sustainable urban future. More than ever we are focussing on our customer’s needs by offering individual, premium on-demand mobility, exactly tailored to their demands,” said Peter Schwarzenbauer, Member of the Board of Management of BMW AG, responsible for MINI, BMW Motorrad, Rolls-Royce and Aftersales. “The launch of ReachNow’s pilot programmes for four new mobility services demonstrates how we are putting our corporate Strategy Number ONE > NEXT into action in our daily business,” he added. 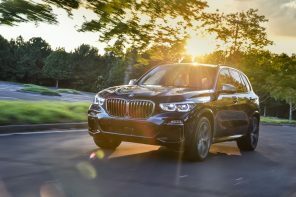 Ride: ReachNow members seeking an on-demand service can order a driver as well as schedule individual and recurring rides in a ReachNow BMW vehicle. ReachNow’s Ride on-demand service will begin as a pilot in Seattle on December 8, 2016. As the initial test phase continues, ReachNow will expand the Ride service with additional features, including the ability to personalize the vehicle, with temperature and music preferences as well as a “quiet mode” for members who wish to have a more restful experience. The ReachNow Ride scheduling feature will be available in early 2017. Members can request to join the pilot program by emailing ride@reachnow.com. Fleet Solutions: ReachNow’s Fleet Solutions will offer residential members an unparalleled level of convenience with exclusive use of a full fleet of premium and sustainable BMW i3 electric vehicles and 3 Series that remain onsite at select apartment buildings or complexes. The ReachNow’s residential service will begin in New York City at The Solaire, a LEED® Gold Certified building, on December 8, 2016. Reserve: ReachNow members who want to use the vehicles for longer trips – lasting 2-5 days – can select a vehicle via the ReachNow app and see the price caps automatically applied. To make longer term usage even more convenient, ReachNow will enable members to request a specific vehicle to be delivered at their preferred time and location. ReachNow Reserve service will begin in Seattle in early 2017. Members can request to join the pilot program by emailing reserve@reachnow.com. Share: MINI owners who enjoy the idea of making their car work for them in times they don’t use it, can partially recoup the cost of car ownership by renting their vehicle via ReachNow. MINI owners who bought a model year 2016 or 2017 MINI are invited to join the ReachNow Share pilot programme. Vehicles can be rented for a minimum of two days. The ReachNow Share service will begin in Seattle on December 15, 2016. Brooklyn/New York becomes ReachNow’s third North American city and marks the expansion of ReachNow beyond the west coast of the United States. Brooklyn was selected as first east coast market due to its vibrant culture, residents’ environmentally-conscious values and robust public transportation system. ReachNow will serve here as an extension to New York City’s subways and buses, offering additional flexibility to meet residents’ every need. ReachNow, the BMW Group’s free-floating premium car sharing service, is already operating in Seattle/Washington and Portland/Oregon and has more than 32,000 members. So far they have travelled over 1.1 million miles in ReachNow vehicles. ReachNow is designed to provide drivers with an experience that is as convenient as owning a car. The user experience is premium and affordable, with fast mobile registration and an almost instant approval process – often in two minutes or less – a first for any car sharing service. 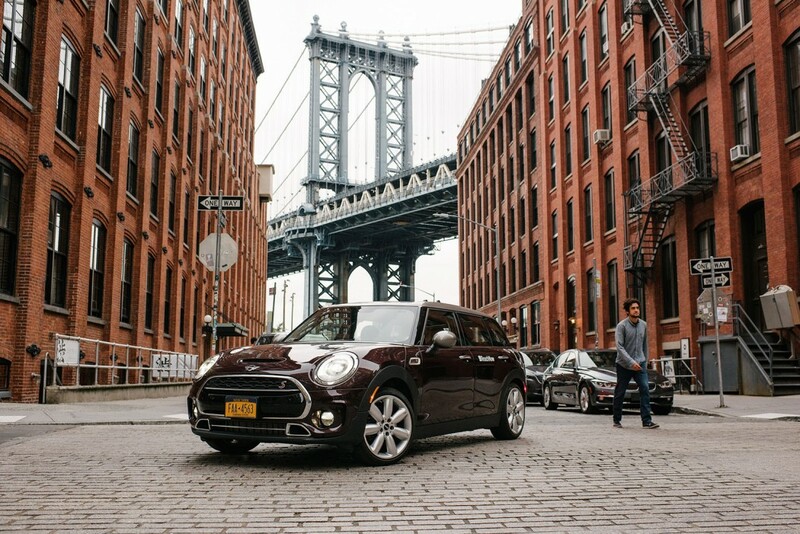 The current fleet of vehicles in Brooklyn includes the BMW 3 Series and the MINI Clubman. There are nearly 800 vehicles in Seattle and Portland, including the electric BMW i3, BMW 3 series, MINI Cooper and MINI Clubman, with plans for fleet expansion. Membership gives drivers access to any available vehicle in any fleet. ReachNow members can locate and book the closest available car in the ReachNow app or find a ReachNow car on the street. Members can return the car to any legal parking space on the street. ReachNow free-floating car sharing vehicles are typically charged at a standard rate of $0.49 (cents) for each minute the vehicle is used, and $0.30 (cents) per minute while parked, with a one-time lifetime registration fee of $39. All prices are inclusive of insurance, fuel plus taxes and fees. ReachNow automatically caps pricing at multiple different tiers and recently added additional price caps for longer trips lasting 2-5 days. ReachNow is available via the App Store and on Google Play. 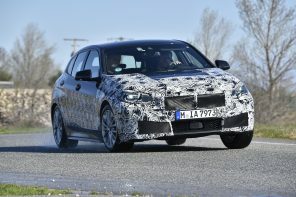 Next Generation 1 Series Spied!